Applied Nano Surfaces was featured in Sweden’s largest technical newspaper: NyTeknik. 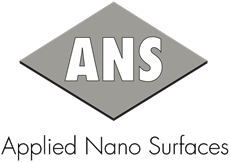 The ANS technology was presented as a cost effective way to reduce friction and thus energy waste in a huge variety of applications. Read the online version here (in Swedish). ANS is selected as Sweden’s sixth most promissing cleantech company by Lars-Erik Liljelund (Director-general at the Swedish Prime Minister’s Office and chairman of the European Environmental Agency).